I was lucky enough to be invited to their fabulous launch party for this range, which involved a whole lot of fruit, tacos and salsa dancing (basically the perfect night out) and we were also kindly gifted the entire range at the end. Soap & Glory have been one of my favourite beauty brands for so long now. I remember I used to get a gift set every Christmas filled with their gorgeous bits and bobs, then it would last me the whole year. I really don't think you can beat their amazing quality and value for money when it comes to the size of the products too. My all time favourite scent from Soap & Glory has always been their original one (the one you get in products like the Righteous Butter etc), so I was intrigued to see what new twist they could bring. However, I have to say, Call of Fruity is up there with the original scent. It's amazing. Think tropical, mangoes, bananas and pineapples, all whipped up into these amazing products. It really reminds me of going on holiday because the scent is just that fun and summery. I'm obsessed. My favourite product has to be the body butter (as always). 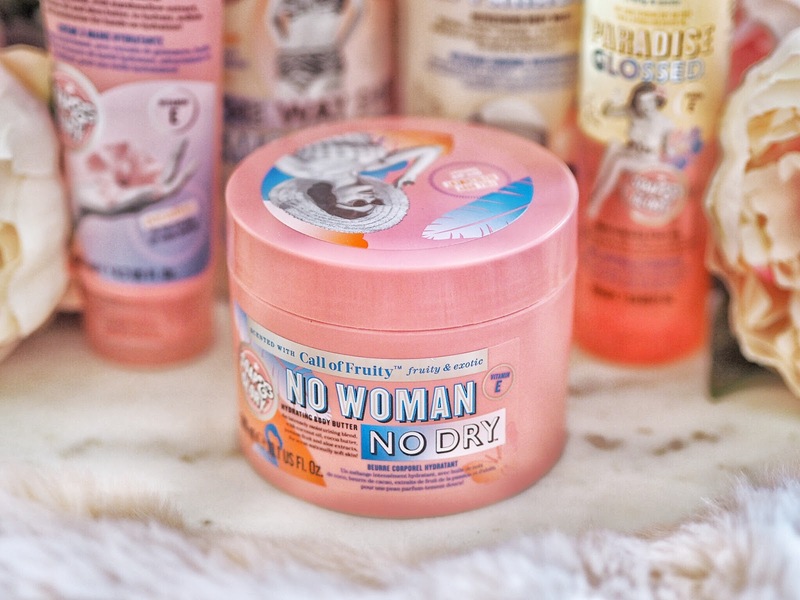 It's super thick and hydrating and they haven't lost the classic Soap & Glory body butter goodness in this new collection, which I am very pleased about. I am also a huge fan of the Paradise Glossed body oil. I haven't tried a body oil from them before but I am very impressed!